Those who look back on the life of executive Romeo Kapudija may see a man who was never restrained to a certain box. Instead, they will see a man who used adversity to his advantage—a man who was dead set on making his visions a reality. Some might even call his success story the American dream. Yet this was no ordinary dream. 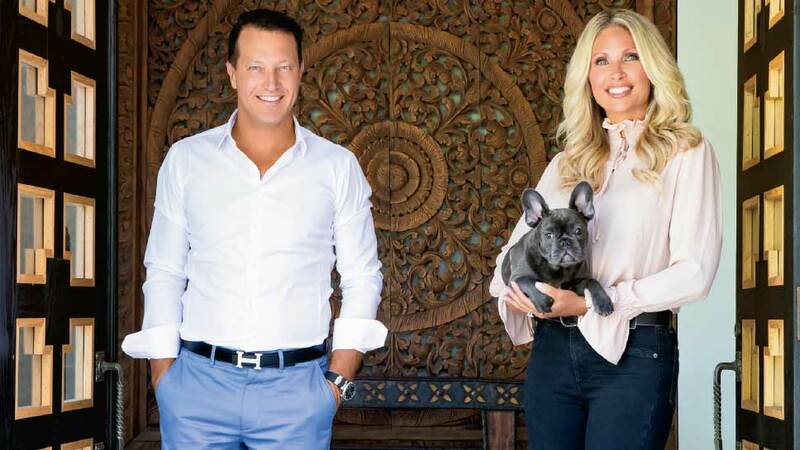 The story of Kapudija spans the gamut from professional race car driver and once co-driver with Patrick Dempsey (aka Dr. McDreamy) to business owner to multimillion-dollar real estate executive. And these days, his work as a succesful real estate developer and co-founder of Miller Street Partners is what not only keeps him busy, but also continues to make him one of the most exciting executives in the Chicago area. “We are selling out buildings before the roof is put on,” Kapudija says of Miller Street Partners’ latest projects of condo buildings in Chicago’s Pilsen neighborhood that include ultra modern and high-end features such as quartz countertops, porcelain tile, and facades utilizing black brick, metal, and glass. Of course, his love of real estate came from a very special man in his life—his father. In addition to his impressive work with Miller Street Partners, Kapudija is also co-owner of both Paintball Explosion and Laser Tag Explosion in East Dundee. “The business has been a huge hit due to the fact that all of our playing areas are scenes taken out from today’s most popular video games,” Romeo shares. If that wasn’t enough to keep him busy, Kapudija is a partner of Trident Defense a custom gun parts manufacturing company which is also working on a January 2019 opening of a new, members-only indoor tactical range in East Dundee. And life couldn’t get much better at the moment for Kapudija, who is currently also in the planning stages for his wedding to local Sears Holdings executive Caroline Cerbus. The two met more than 25 years ago while living in the city and reconnected six years ago. “I call it love at second sight” says Kapudija. For more information, call 847-426-2662 or visit PBBomb.com.